PodTrapper is a robust podcast browser, manager and player. With PodTrapper you'll never miss another podcast. And with features like only downloading while charging, customizable update schedules, and configurable download methods it won't impact normal use of your phone. PodTrapper even has bookmarkable playback of any supported media on your phone, not just podcasts! Tired of having to manage and pay for a lot of different apps that do various productivity enhancing tasks? VersaTool is the answer. 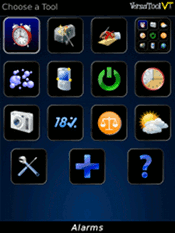 It's a single tool that allows you to take control of your BlackBerry with a solid consistent user interface. Never forget Milk again! 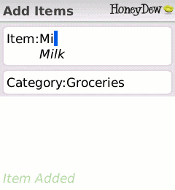 HoneyDew is a synchronized todo and task list that makes all your paper lists obsolete. It allows mobile users to keep consolidated lists that are always up to date and always with you. Check out the quick tutorial to see how it can help you!